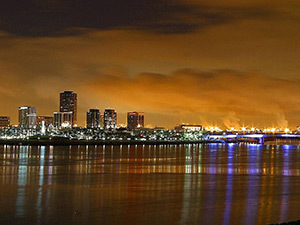 We look forward to seeing you in Long Beach! The 2019 APLG/FSA Annual Seminar on February 8-9, 2019 was a great success! Thank you to all the participants and attendees who helped make it such a success. We look forward to seeing you in 2020! The 2017–2018 APLG Nominations Committee announces the slate of officers for President-Elect, Secretary-Treasurer, Vice-President-Constituent Engagement, Vice-President-Leadership Development and Vice-President-Program and Organizational Value. Also included on this ballot are the Advisory Committee and the Nominations Committee. Candidates for the 2018–2019 APLG Executive Committee positions, Advisory Committee and Nominations Committee are listed below. The election will open on Thursday, August 23, 2018. •Consistent with the APLG Bylaws, the slate will be posted 30 days in advance of the election and will include at least one (1) name for each position. •Additional nominations may be made by a petition signed by fifteen (15) members of the APLG Section submitted to the President 15 days prior to the beginning of the election. Additional nominations should be submitted to Sharon Lassar at slassar@du.edu by Wednesday, August 8, 2018 at 11:59 pm Eastern Time. •Persons so nominated must previously have agreed to serve if elected. •The membership of the Section will be notified prior to the election of the nominations made by petition. •All elections will be conducted by mail, facsimile, or electronic vote. •All members of the APLG Section are eligible to vote. The Nominations Committee duties include soliciting candidates from the membership for open offices and preparing a slate of at least one (1) candidate for each of the open offices. It will consist of two (2) Past Presidents (the most senior of whom will chair the committee) and two (2) other elected persons. Members of the APLG Section Nominations Committee are not eligible for nomination to any APLG Section office while serving on the Committee. Questions? Please contact Shauna Bigelow, at shauna.bigelow@aaahq.org or (941) 556-4135.